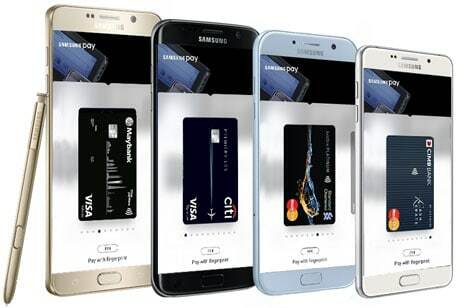 Samsung Pay has begun rolling out in Malaysia with support from CIMB, Citibank and Standard Chartered, with Hong Leong Bank coming soon. The banks join existing support for the mobile payment service from Maybank, Mastercard and Visa as well as loyalty card partners B Infinite, Bonuslink and Sunway Pals. “Samsung Pay is a robust mobile payment platform that not only supports the shift towards digital wallets today, but provides a conducive and future-proof avenue for secure e-payments in Malaysia,” says Lee Jui Siang at Samsung Malaysia Electronics. The mobile payment service launched in beta in Malaysia with Maybank in December 2016. In Malaysia, the service is available for Galaxy S7 and S7 Edge, S6 Edge+, Note5, Galaxy A5 (2017 and 2016) and A7 (2017 and 2016) devices. Samsung Pay is available in South Korea, the US, Spain, Russia, Thailand, Brazil, China, Singapore, Australia, Puerto Rico and now Malaysia, with plans for a Canadian launch. The mobile payment service’s Thomas Ko spoke to NFC World about the mobile payment service’s expansion plans at Money20/20 in October 2016.